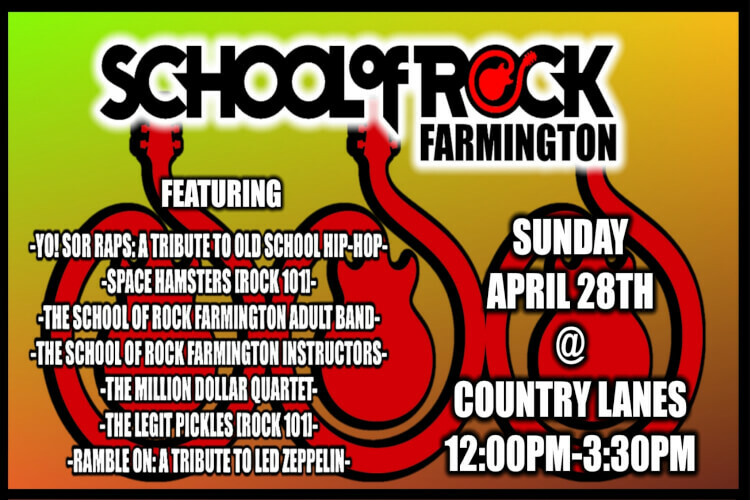 Come out to Country Lanes on Sunday, April 28th to check out performances by our Spring 2019 classes! While you're here, enjoy some bowling too! -Bowler's Special: 2 games + shoes = $9/per person. -SUMMER CAMP SPECIAL! 35% off if you sign up on the day of the show, and you will be entered to win either a bonus camp or the opportunity to bring a friend to the camp you bought! -For those who are not students, sign up for a free 30 minute trial lesson, and if you sign up, get 15% off your first month tuition!